MTN surprised its loyal customers with a free myApp data giveaway valid for 3 days. 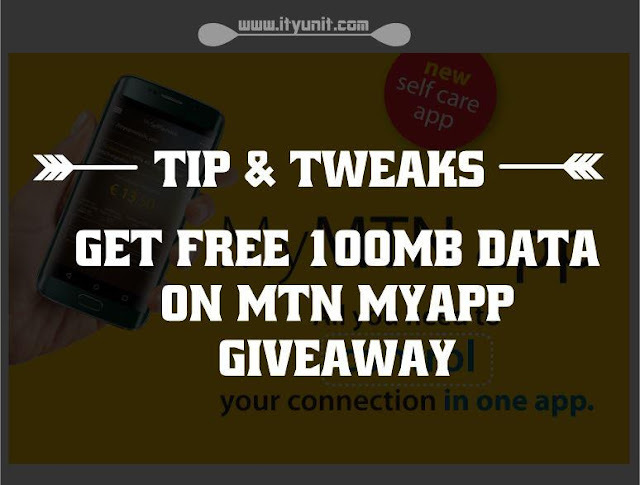 The 100MB (or 150MB) for some is offered to customers to enable them download and install the MTN myApp self-care app. The best part is that this data powers all the app on your device and can be used to browse, download and stream online. This is not a cheat, it is legit from MTN network and you can accumulate the data up to 1GB. 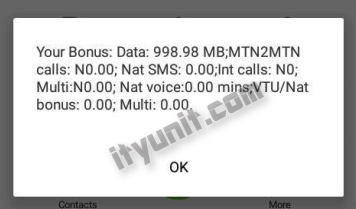 Not only can you use the app to power all the app, you can also accumulate the data allowance. 1. Text "myApp" to "131"
4. If you get an error message once, dont bother trying, get another SIM. The free data is not dependent on your current tarrif plan, it is free for every customer. Once you have text "myApp" to "131" (that is the subscription code) and had received the success message, you then text "Stop myApp". You will then receive another message that you have stopped the subscription. After getting the last message, text again, "myApp" to "131" and repeat the steps as many times as you can to accumulate. Remember, no matter how you accumulate, it expires in 3 days. Also, give some time before the next subscription, else you will be blacklisted and will be getting error messages when you attempt to subscribe again. I would advise don't accumulate more than 1GB else you may be blacklisted.